I bought the zero-turn as an investment, and it has paid me back many times over! I looked at my different mowers before I decided on this one. I wanted one that would be easy to operate, run smoothly and reliably and also be easy to adjust for whatever I needed. The 355z surprisingly met all of these requirements - everything I wanted it to be. 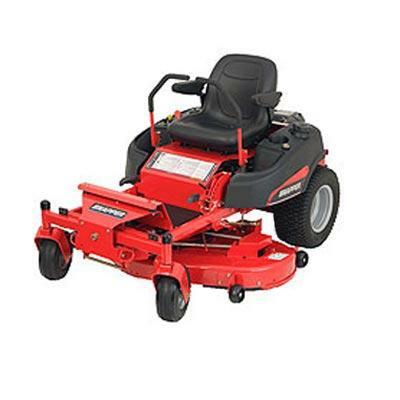 I purchased it as the primary mower to use in a lawn-care business that I was starting from scratch, and it has met all of my needs. I don’t use it for major jobs, only for residential, small lawns. So, I can’t vouch for its heavy use every single day. However, it does get used often and I have never had a break down or a repair. But, it is amazing! Not only is it easy to maneuver (even my young son can drive it with no problem) but it is very quick and does a very clean cut. It is also extremely easy for me to adjust the height of the cut of the lawn in order to meet the different preferences of different customers. Also, some individuals wish for me to use the bag to collect grass-clippings, and some don’t. The bag is very simple to take on and off, another thing that my son can do for me. Time and money is everything for me, and I could not be happier that I went out on a limb and purchased this mower!